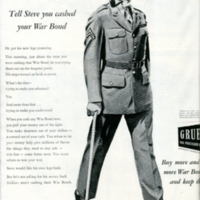 Gruen Watch Company advertisement; "Tell Steve you cashed your war bond." 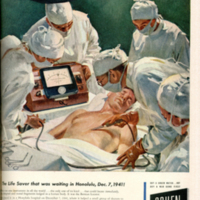 Gruen Watch Company advertisement; "The life saver that was waiting in Honolulu, December 7, 1941." 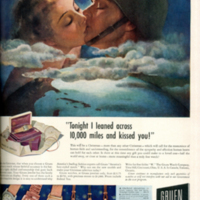 Gruen Watch Company advertisement; "Tonight I leaned across 10,000 miles and kissed you!"